Automotive digital marketing started in earnest back in the mid-to-late 1990s. For those who jumped in early, the first item on the to-do list was to get a website, and that meant getting a URL to anchor it. For many, that means they have a website URL or domain name that is close to 20 years old—ancient in Internet years. This isn’t something we often think about, however, because it’s just not a thing we’ve really had any control over. We simply grabbed the best .com domain we could find back in the day and, for many of us, it’s still the same one we use today. Yet, the reality is that many of us weren’t able to secure the best .com domains for our businesses because they were already taken—either by cyber squatters or by someone who just happened to have the same, or similar, brand name and got there before us. This means one of the most important tools in our marketing arsenal is outdated and stale—and, in all likelihood, extremely long and unwieldy, especially for today’s smartphone users. Back in the ’90s, domain names were important, but much less so than they are today in the current age of the smartphone, where our “thumbs do the walking.” Today, mobile commerce dominates—but does your website’s domain reflect that? The automotive domain names that worked for desktop computers does not work for smartphones. Can you imagine typing something like “DealerNameAutomotive.com” into your phone or sending an email to “personname@dealernameautomotive.com”? The good news is you now have the opportunity to update your domain and corresponding email address. 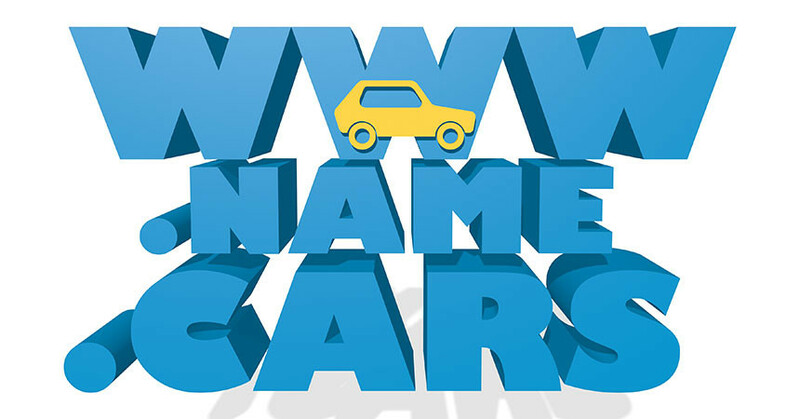 Three new automotive-specific domain extensions are now available: .Cars, .Car, and .Auto. They are available on a first-come, first-served basis, and make long, clunky domains a thing of the past. A few early adopters have already taken advantage of this, like luxury dealer St. Louis Motorcars, which moved from STLMotorcars.com to STL.Cars—a far more memorable, mobile-friendly, and frankly, more modern domain. 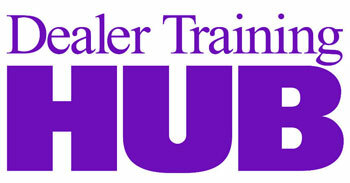 This overhaul is not exclusive to dealer websites. An industry leader, David Kain, has made the move from KainAutomotive.com to Kain.Auto, and many of the leading-edge OEMs are overhauling their domains, such as boutique supercar manufacturer Lucra, which went from a reasonable LucraCars.com to the super-short and memorable Lucra.Cars. But the opportunity does not stop with updating your domain. Region- and city-specific domains are also available. How do you like the sound of “LosAngeles.Cars,” “LA.Cars,” and “OC.Auto”? If you were able to buy a two-letter .com domain today, you would likely pay more than $1.5 million for it. The nice thing about these new auto-specific domains is that they cost less than 1% of that per year, and immediately position your business as an automotive authority. The answers are fairly simple: Nearly all of dealers’ digital marketing efforts are directed to their domain. Creating a short, memorable domain like STL.Cars reinforces all those digital marketing investments. Think about a billboard on the side of a busy highway that reads “www.STL.Cars”—wouldn’t that be more likely to create a lasting impression than “www.STLMotorcars.com”? The same is true for digital marketing. Regarding search impact, if an existing website is transferred to a new site per Google’s posted instructions, there is no negative SEO impact. Just try searching for “David Kain,” “Market Punch,” or “Lucra”—three websites that were migrated over to their new domains by a “white glove” team to make sure they maintained their SEO, ranking, and emails in the process in just a matter of days. With registrations now open, every dealer, dealer group, vendor, and OEM will have a shot at upgrading their most important marketing asset—their domain. And, just as it was back in the ’90s, the best ones will go first, so don’t wait to take advantage of this opportunity. Mike Ambrose is the COO of XYZ and Cars Registry Limited. With 15-plus years of domain industry and digital marketing expertise, Mike specializes in building authoritative online presences through branding, SEO, and SEM best practices. He is best known for launching the world’s most popular new domain extension, .xyz, as well as industry-specific domains .College, .Rent, .Security, .Protection, and .Theatre. Most recently, Mike introduced .Cars, .Car, and .Auto: the complete line of new domains developed specifically for the automotive industry. Complete nonsense. No difference in digital marketing, and changing URLs can actually impact your site negatively. Clearly written to sell URLs to gullible dealers. The author works for these new gtlds, biased much. Shouldn’t their be a disclaimer stating so. Non sense! All the new TLD are junk!